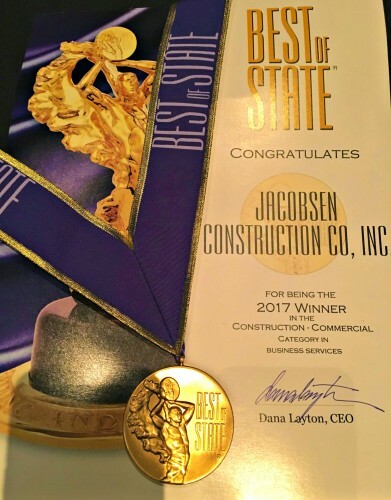 Jacobsen Construction » Four Years Running–Jacobsen Named Best in State! Jacobsen Construction Company (JCC) was honored last night with the prestigious Best of State Award in the Commercial Construction category for an unprecedented fourth year in a row–recognizing the 95-year-old business as a top company and the premier commercial builder in the state. The Best of State Awards were created to recognize people, organizations and businesses that are excelling in their endeavors, and who are improving life in Utah. 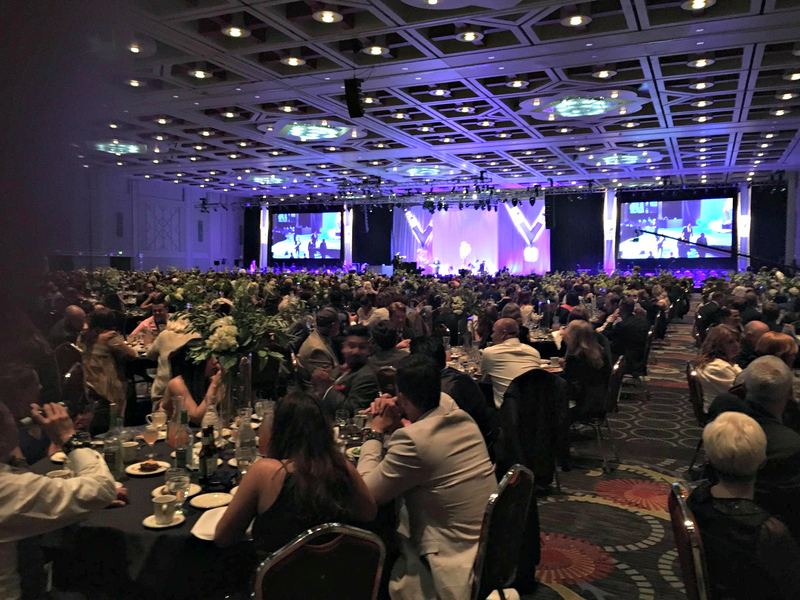 Award recipients are evaluated on overall achievement, excellence in products, as well as service and industry-changing innovations. With a four-peat history, there is undoubtedly something special happening at Jacobsen. 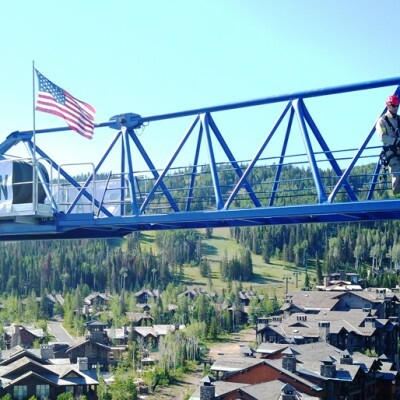 Welling explains that as they work on projects, employees feel a great motivation to exceed expectations because of their feeling of connection to the good things happening in the communities and cities where they work. 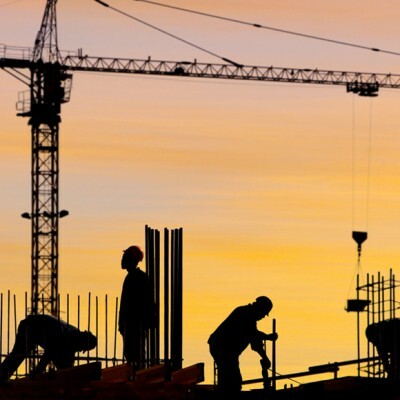 About Jacobsen Construction Company, Inc. 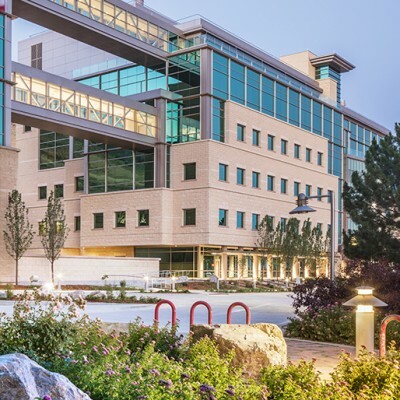 Founded in 1922 by Soren N. Jacobsen in Salt Lake City, Jacobsen is a 100% employee-owned, Employee Stock Ownership (ESOP) company. 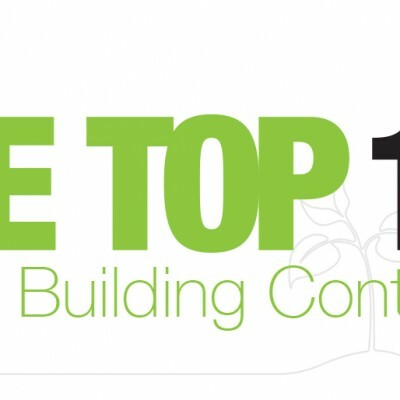 With more than 500 employees, Jacobsen is consistently ranked as one of the top contractors in the country, as well as the nation’s Top 100 Green Contractors. 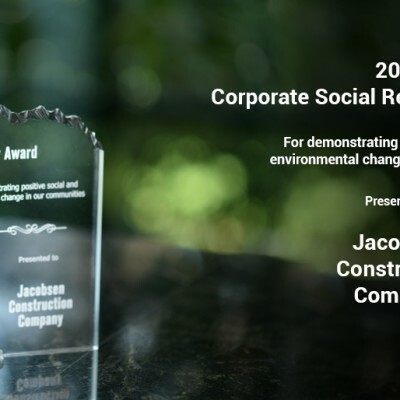 For more information visit: http://www.jacobsenconstruction.com and follow us on Facebook, Twitter, and Instagram.